I’m going to pick back up writing this one. I remember exactly where I left off, and sadly, I’m still stumped on where to go from that place. Hopefully, I’ll think of something as I go along. I know where I want to be, but there has to be something to bridge the gap. Often I think of a story as hills and valleys. You have your intense moments where emotions are running high then that’s the lull where the characters are granted a chance to catch their breath (so to speak) before they are forced to through another emotionally intense scene. So I need to figure out what the lull after a particularly intense scene should be. If I have to jump ahead, I will. I don’t often do that except when I know exactly where the book is heading. I did it in His Convenient Wife and Boaz’s Wager. It looks like this will be another one of those books. 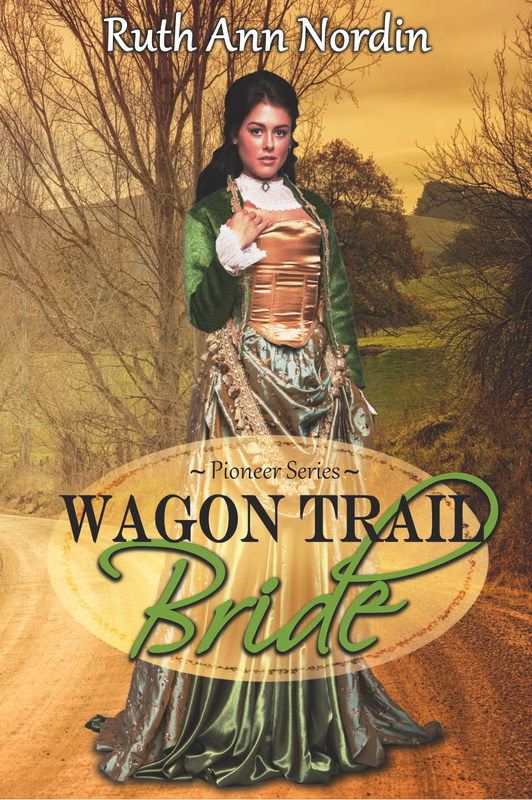 I already have characters set for book 2, and they play a role in Wagon Trail Bride. For those of you who like a more serious story (such as Eye of the Beholder or Bid for a Bride), this will be for you. It has some serious moments in it, but above all else, it is romance so there is a happy ending. I think those who appreciated the humor in Ruined by the Earl will get a kick out of this one. Ruined by the Earl featured Logan and Melissa, and if you’ll recall, Melissa had an uptight brother named Malcolm. What Malcolm needs is a lady who isn’t afraid to laugh in the face of scandal. Only then will he be happy. Oh, I could pair him up with a nice, demure lady, but there would be absolutely no plot. Part of writing is pairing up the right type of people. And in comedy (at least as I write it), it’s best when the most unlikely couple are forced to get married. This series will have the doctor who delivered Chloe’s baby in The Earl’s Stolen Wife. (I can’t remember his name at the moment.) I’m going to kill off his brother so he gets the title and has to get an heir. I don’t know which book he’ll be the hero in, though. Since that’s the case, I’ll try to wiggle him in somewhere into this book. This was the hard one to pick. I have so many to write, but since I do best with three at a time, I forced the list to three main books. This was the one that made the final cut. This is probably going to be a standalone book. From time to time, I like to do standalones because it’s nice to take a break from the series. Series are great, too, because they allow you to weave a theme or two in more than one book, and it is fun to work with the same group of characters. One of the reasons I enjoy the Regencies so much is that I’m working in the same world where a past character can make an appearance. After working with a character, it’s like seeing an old friend, and I try to bring them in whenever possible. I can’t always fit them in, but when I can, I definitely do. Anyway, I expect this to be a standalone. If it turns into a series, great. If not, that’s fine, too. I don’t think every book has to lead to a series, so I don’t force it to be one if it’s not meant to be. Now, from time to time, I’ll take one book (or series) and use characters from another series for fun. A case in point is bringing Eva Conneally and Rachel Larson from the Nebraska Series (specifically, Isaac’s Decision) into Boaz’s Wager (which is in the Montana Collection). I keep thinking it’d be fun to do a quiz on all the books where characters overlapped into other books and see who’d get all the questions right. One of these days, I’m going to do a giveaway and those who get all the questions right will win my next release. For the time being, I’ll be working on these three books once I finish up with Royal Heiress. 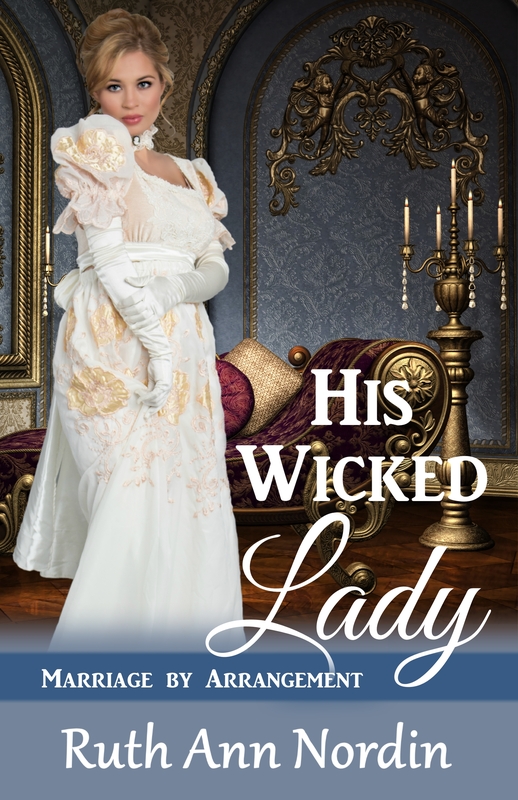 Ruth Ann Nordin mainly writes historical western romances and Regencies. From time to time, she branches out to contemporaries romances and other genres (such as science fiction thrillers). For more information, please go to www.ruthannnordin.com or check out https://ruthannnordinauthorblog.wordpress.com. I’m glad Malcolm is getting his story. I figured someone would eventually come along and try to “unwind” him a bit. 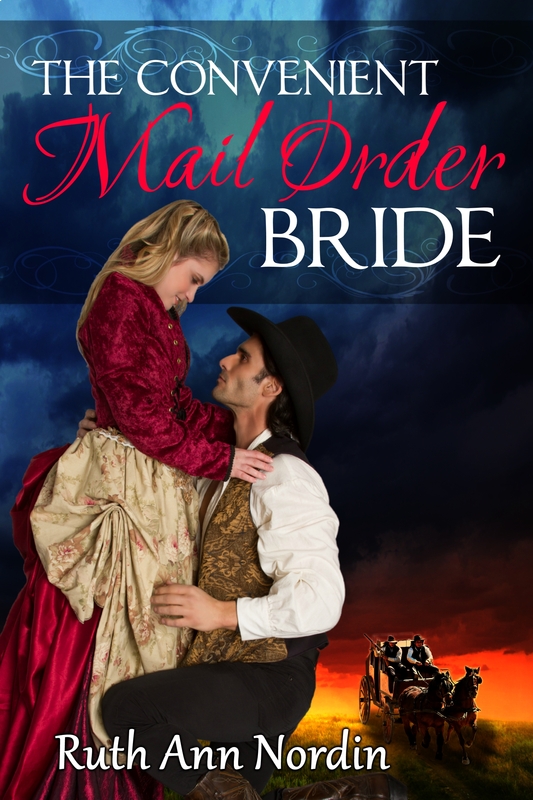 That’s Jax and Grigoris on the cover of The Convenient Mail Order Bride. Jax is such a sweetie. Have you met her? I love that cover! Yep, he really needs to be “unwound”. LOL I’m looking forward to torturing…I mean… helping him. I haven’t talked to Jax, but I love her pictures. She’s on a few of my book covers. I’ve talked to her at RNC. She’s very friendly. Sometimes beautiful models are snobby, but she’s not like that at all. That’s great to know! Now I’m really glad I use some of her pictures! Wow! Sounds like you’ll be busy for the next while. Sometimes I wish I could write three books at the same time. I’m looking forward to reading the books when they get out. 😀 Good luck! I write a couple books at one time because I usually end up stuck somewhere along the way when I write a book. It helps me when I can work on something else while waiting for inspiration to come back. I don’t really count the fantasy books as being productive. All I’m doing is proofreading them. The real works comes in when I get back to actually writing again. After all this time of not writing something new, it’ll probably take two weeks before I can manage more than 1000 words a day between all three books. Until then, I’ll be doing good to hit 500. 🙂 My mind needs to get trained back into the routine. who are the hero and heroine in the third book? I am soooo eager to know about the story of Mr.& Mrs. Larson, Bob tanner, chef jim, tyler, carmen riles, vivian and danielle… and yea will you post the Larsons family tree? Those are brand new characters. I hate to admit this, but can you jog my memory on Tyler and Carmen Riles. I have a tentative idea for Vivian that would lead into a series. The others really haven’t “spoken” to me yet. I’m not sure if I’ll ever had time to write a story for everyone. I get more ideas than I have time for. LOL I won’t complain. It’s better than running out of ideas. Tyler Jackson is Ryan Jackson’s cousin(With this ring book) and works under Nathan (What Nathan Wants) and Carmen Riles is the lady who ordered a tombstone in the shape of a rat for nathan in the same book. Thats wonderful… She was really a fun part in sally’s book. I do hope that your ideas involves a present generation youngster tracking down his ancestry and getting to know about or meeting his ancestors especially if they are already present in a book. Fingers crossed! Sometimes I’ll take a new series with fresh characters and slip in an old character. It doesn’t happen all the time. It has to fit well with the story, but it’s a lot of fun when I can manage it. Okay. I thought you meant Tyler Jackson, but I wasn’t sure. Over the years, I’ve named so many characters it’s hard to keep them all straight. I have a timeline for some series to help me along, but I didn’t do it for the Omaha Contemporary Series, which is where What Nathan Wants falls into. I did write Tyler’s story. It’s Just Good Friends. What I most need is a way Hugh can trick Vivian into marrying him. So far, I know Vivian is going to go to California to be with her sister. They allowed proxy marriages out there, and I’m thinking that is how Hugh gets the marriage, but I’m not 100% sure on that yet. I’ve often thought it’d be fun if the Larsons could trace their heritage to the Regency books, though I can see a contemporary Larson. Yes it is! I loved it when Todd showed up in Jake’s story. Its actually like meeting an old friend. OMG OMG Now I want Just good friends book… I have around 30 books of yours, i am yet to buy the rest. But doesnt Hugh loves to irritate and play with Vivian? I think him showing off as if he is courting another woman will make her jealous and it will also be same like what happened in sally’s book. Or they could get stranded alone somewhere, Or he might go away for college and comeback later and turn into a good boy while vivian misses his old self and tries to irritate him like tom n jerry. Proxy is also good and vivian wont get annulment because she likes him irritating her but i dont know how her family will take it. And its sort of serious while they are two happy people. But anyway you make any plot into the best romance i have ever read so I am looking forward to whatever you make of them. Yes it will be.. I am looking forward to it. I dont know how i turned out like this.. Desperate for books and to see what the people(Characters) i know turned out to be.. Seriously you have an impact on people’s lives that you are not even totally aware of.. My friend also feels the same way and I am very glad that I came across your books.. I started to believe in love after reading them, how I wish one of your characters were real…. As for Vivian and Hugh, I kind of like the idea of sticking them together where they can’t get away from each other. That would be fun. I think you’re right. If Hugh wasn’t pestering her, she would miss it. I’ll have to think on it and see what develops. I love forcing unlikely couples together because they often have the most spark between them. Want Updates Once a Month? 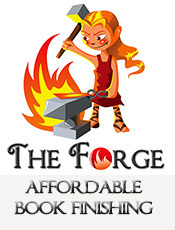 Looking for a good proofreader?